Restoration & Renovation Pekin, IL | Kelley Construction Contractors, Inc.
For a trustworthy, affordable restoration and renovation contractor in the Pekin, IL area, choose Kelley Construction Contractors, Inc. Our main office is located right in Pekin, so we are readily available for residential and commercial projects of all sizes and scopes. We specialize in showing up in the hard times, whether that be when a fire strikes, hail hits, or severe weather affects your property. We even have on-call crews on standby to take care of you as quickly as possible. 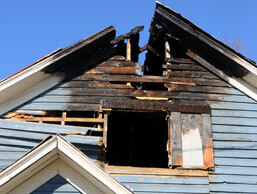 A property fire can leave you feeling hopeless. Let Kelley Construction Contractors, Inc. help get your life back to normal with fire damage repairs that will remove any sign of smoke, soot, or debris. When a hail storm hits Pekin, call Kelley Construction Contractors, Inc. We are experts in hail damage repairs and can even help you through the insurance process. Whether lightening, a fallen tree, or a severe tornado, we provide storm damage repairs big and small. We even offer emergency services in times of need. Choose Kelley Construction Contractors, Inc. for flood damage repairs that are affordable and will ensure no moisture is left in your property. Don’t live with water damage on your ceilings, walls, and floors. Let our team repair your property and make sure it is structurally sound. Taking a chance on mold can cause a serious risk to your health. Our mold remediation & removal services will keep your family safe. If your property has been affected by a disaster and you don’t know where to start, contact us today. All of our restoration services also include unmatched customer service to help you every step of the way. 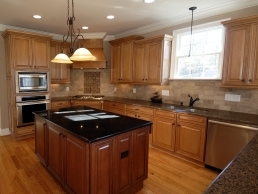 From new counter-tops to an entire kitchen overhaul, we are your kitchen remodeling experts. We can even help you with the design process. Don’t live with an old, musty bathroom. The bathroom remodeling services provided by Kelley Construction Contractors, Inc. will leave you with a bathroom you are proud of. Whether you want to update your current basement or completely finish it, let us provide basement remodeling services that will increase the value of your property. Enjoy the great outdoors without having to deal with all the harsh elements and learn more about our sunroom additions. If you know that you want to remodel or add onto your property, but aren’t sure how to or what finishes to choose, the team at Kelley Construction Contractors, Inc. can help you. We provide only the highest quality materials that will upgrade the look, feel, and function of your property and will help you choose the best finishes to fit your style and budget.